It might not attract quite as many tourists as other regions in Tunisia, but Tozeur is still an area that should be visited if time allows. It has several attractions, with the most notable being the Star Wars set, and in general it is ideal for any traveler who wants to extract a little more out of their Tunisian experience. How do you get to Tozeur? In comparison to other cities in Tunisia, there’s no doubt that Tozeur is much less accessible. 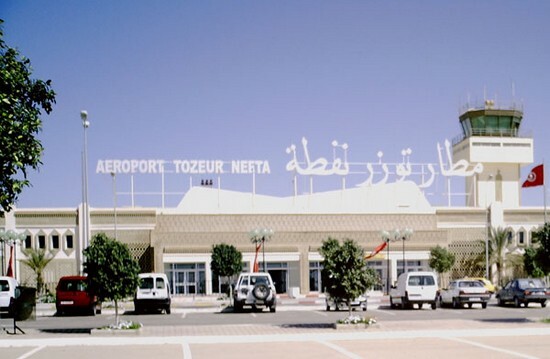 In fact, to the typical tourist, the easiest way to access Tozeur is via Tunis. 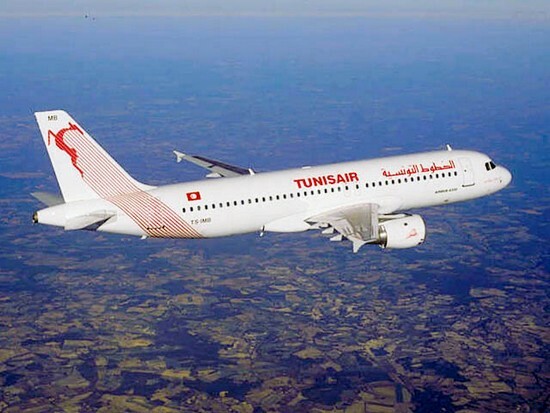 As such, if you are looking to reach Tozeur from abroad, you should look to fly to either Tunis-Carthage or Enfidha airport. From Tunis, you can then board a train which will take you to the center of Tozeur. Just like most areas in Tunisia, a taxi is the easiest way to navigate around Tozeur. However, the big difference between Tozeur and other places is the pricing. Instead of operating on a meter system, you will have to negotiate a price with the taxi driver before departure. To give a rough estimate on the sort of prices you should be paying, the standard rate is around 2 dinar per kilometer. Another option, which perhaps isn’t quite as common in other parts of the country, is bike rental. 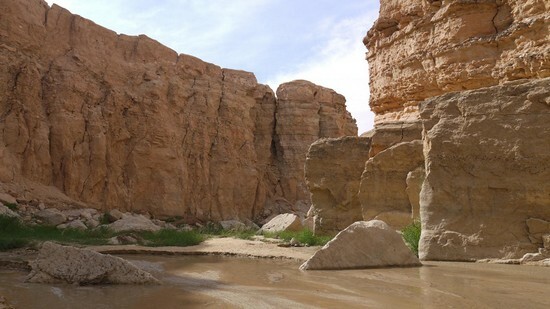 Considering Tozeur’s picturesque landscapes, this can be an excellent way to see the area and of course provides excellent value for money over a day or longer. Another word of caution should be added here though; always check the condition of your bike before you pay. Usually, vendors will offer their worst bike first, before they are challenged. Therefore, firstly see if your bike is in good enough condition to take out, and then see if there are any better ones available. For those looking for a more traditional option, there is a horse drawn carriage. These are significantly more expensive than other forms of transport, but give you a tinge of luxury as you are taken around Tozeur. It might not have the name that some of the big tourist hotspots of Tunisia have, but that’s not to say that there aren’t plenty of things to see around Tozeur. It would be fair to say that the majority of people will visit the area for the abandoned villages – many of which are located very nearby. Chebka, Mides and Tamerza were all abandoned in the late 1960s, after floods made them inhabitable. Nevertheless, the ruins still provide visitors the opportunity to see what life really was back then in these small oasis villages. Additionally, it’s not all about seeing things – the authorities have made these villages into superb attractions. Natural swimming pools and waterfalls have been formed, meaning that there is plenty for children to do. Additionally, if hiking is your thing, there are walks up to several kilometers long between the villages and you can gain further insight into the local area if you source a guide. While the nearby villages are one of the biggest pulls for visitors to Tozeur, there is also the small matter of the Star Wars set. This isn’t a set that was just used sparingly either; it happens to have been used for several of the movies and features scenes in both Mos Espa and Mos Eisley. Generally, you’ll just need half a day to visit this area and you should always take advantage of one of the local tour guides who know the set inside-out. Another attraction worthy of a mention is Lezard Rouge. In simple terms, this is a rail tour, but the rustic and beautiful nature of the train makes it so much more. The train stops regularly for photo opportunities, while there is even a bar area to toast the day’s activities. 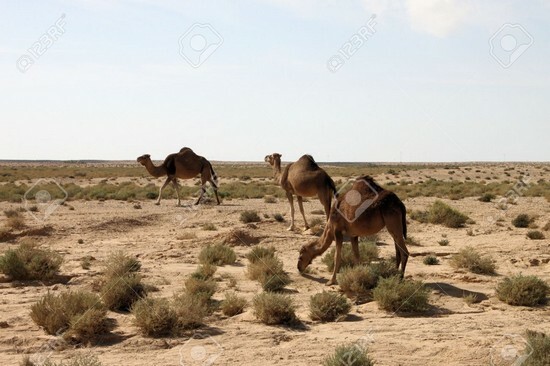 Camel Tour: Considering the landscape of Tozeur, it won’t be a surprise to hear that camel tours are very popular. While it might be tempting to immediately hire a camel for a day, or longer, at a time – always exercise caution. Most providers will offer an hourly rate and if you’ve never ridden on the back of one of these animals before, opt for this package as they certainly aren’t for everyone. Hammam: Another interesting attraction that is part of Tozeur is the Hammam. One of the most well-known ones is Hammam Shabia, with this situated just to the north of Residence El-Amen. As always, you will have to bring your own bathing accessories, and it’s worth noting that men and women are not permitted to use the facilities at the same time. If possible, try and take advantage of a massage in the area as well. Dar Deda: It won’t be the cheapest Tunisian restaurant that you dine at, but you can always be assured of good food when you frequent Dar Deda. It has a very friendly atmosphere and if salads are your thing, these are dishes which always receive rave reviews from past visitors. Le Minaret: It never tends to be bustling with visitors, but Le Minaret is another friendly Tozeur establishment that should be on your list if you are looking for a decent local meal. The service times are exceptionally fast, but this should not detract from the quality of the food which is always impressive. Lamb dishes in particular are always received well. 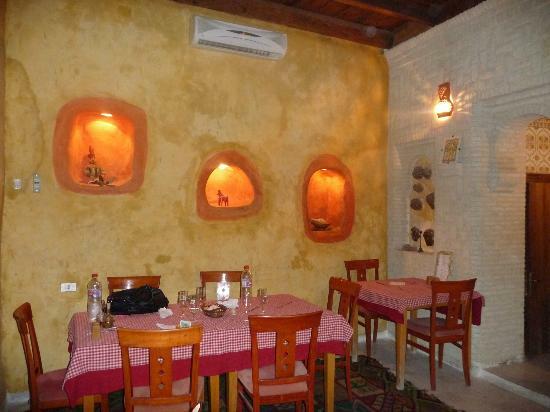 Le Petit Prince: For those visitors looking for Tunisian cuisine on a budget, this could be a very good option. Le Petit Prince is again blessed with almightily friendly staff, while all of the Tunisian dishes are oozing with local flavor and it is well worth a mention if you would like to sample the country’s cuisine. In comparison to a lot of tourist-friendly countries, there’s no doubt that Tunisia has a much stricter tolerance when it comes to alcohol. In other words, a lot of bars don’t stock it due to religious and cultural reasons. In a city which doesn’t tend to attract hordes of tourists, it won’t come as a surprise to hear that there are even fewer options available in Tozeur. Generally, if you are looking for an alcohol-infused night, you will have to head to a tourist hotel. The fact that one of the most renowned nightspots is largely targeted at children says everything you need to know about Tozeur’s attitude to bars. Nevertheless, the Sahara Lounge is worth a mention at this point and if you would like to combine zip wires, climbing walls and paintballing with a lounge area (that we’d struggle to class as a bar), then this can be a good escape. It’s not a traditional drinking establishment by any stretch of the imagination but in terms of nightlife, this is one of the best places you will get outside of the tourist hotels. Eldorador Ksar Rouge: With an indoor pool, an outdoor pool and a generally flawless exterior, it won’t come as a surprise to hear that Eldorador Ksar Rouge is a favorite amongst families. Some past visitors have stated that the building looks like a castle – so you really can feel like royalty when you stay here. 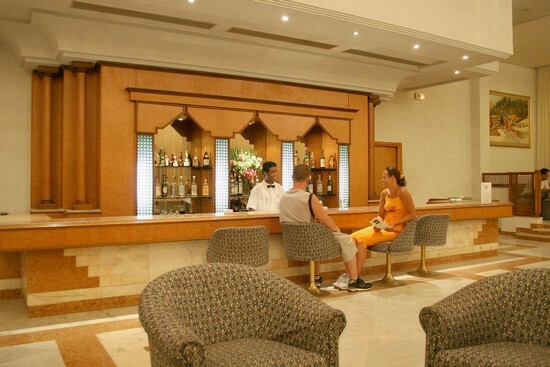 Hotel Ras El Ain: Hotel Ras El Ain is slightly more modern than the previous suggestion, but it still benefits from fabulous gardens and offers guests another luxurious experience. The buffet on offer at this hotel is particularly worthy of a mention and means that you don’t really have to venture out of the resort unless absolutely necessary. Palm Beach Palace: It goes by the name of palace and in truth, Palm Beach Palace really is every bit its name. Again, it benefits from a fantastic outdoor food, while the food is of very high quality and should cater for guests of all tastes. Several of the suites are classed as “swim up rooms” and if you can manage to stay in one of these, you are in for a treat. The swimming pool rolls almost to your door, meaning that you can literally jump out of bed and into the water.